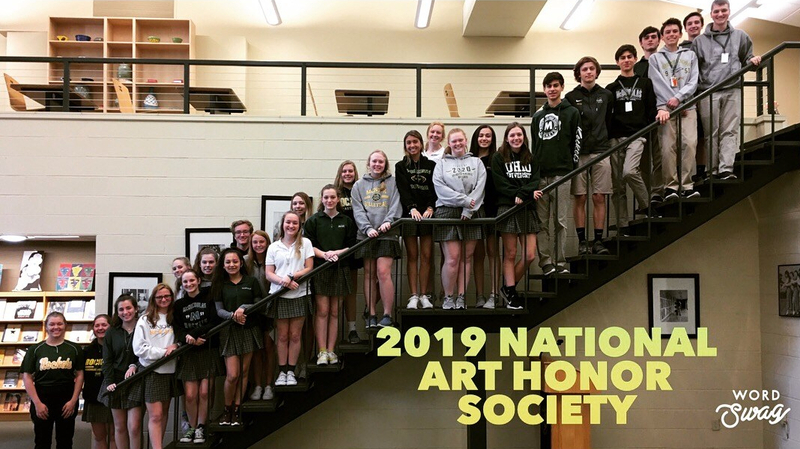 On Monday, Nov. 19, approximately 50 McNick seniors arrived back on campus around 5 p.m. No, this was not to watch a basketball or volleyball game or attend a theatre performance; these seniors returned to participate in Shantytown. This city-wide program, coordinated by the Greater Cincinnati Homeless Coalition, is designed to bring attention to the struggles and realities of homelessness while allowing students to stand in solidarity with those who do not have a place to call home. These senior Service Club members began building makeshift shelters out of cardboard boxes, tarps and duct tape. Some students collaborated and combined materials to make group shelters while others opted to go solo. By the time the allotted 45 minutes to build was up, the lawn under the glass hallway had become McNick’s own shantytown. As darkness fell and temperatures continued to drop, a cold misty rain descended upon the students and their newly built shelters. There was no time to worry about the weather, though, as the students needed to obtain food for the night. Each student was allotted $2 and 6 minutes to shop at the Mt. Washington Kroger. On the rainy walk down Beechmont Avenue, most students latched onto groups and much like they did in the building of the shelters, pooled together their resources to squeeze the most out of what was available. Chaos ensued as soon as students stepped foot in Kroger and there was a mad dash to find the best deals on bread, peanut butter, protein bars, fruit, lunch meat, and more. The average age of someone experiencing homelessness in America is only nine years old. This reality struck a chord with many Shantytown participants including senior Jenah Farrell. “It made me think of how a lot of people my own sister’s age don’t have a home. She just turned 10,” Farrell said. During a study hall in the cafeteria, many students used part of the time to take pieces of leftover cardboard that did not make it onto the shelters and write messages that called attention to the truths of the homeless crisis. “Poverty is more expensive than being rich,” said senior Nick Russo. Before the students retired for the night, they were given the option to sleep inside due to the near freezing temperatures and damp weather, and while some did need to sleep in the halls, many others were adamant in sticking it out despite the elements. Seniors Nate Chambers, Adam Luckey, and Mark Dill were among those who elected to sleep in their cardboard shelters on the grass. Each person had a unique experience on the night of Shantytown. Some struggled to find warmth in their boxes while others attempted to seal off all openings of their shelters to stay as dry as possible. Many huddled together with friends and zipped sleeping bags tightly around themselves to hold in the heat. Early the next morning, students dismantled the dwellings they had constructed only hours before and proceeded to go to take up their cardboard signs and greet students arriving for the school day outside the entrances.